ever day we are expanding our role. our versatile practice spans the disciplines of programming, planning, development, new construction, reuse, preservation, interior design, art, branding and expediting. our process is proactive and cohesive, true to the Italian tradition of “design is one". hands on involvement in All phases by the principals ensures quality control from start to finish. 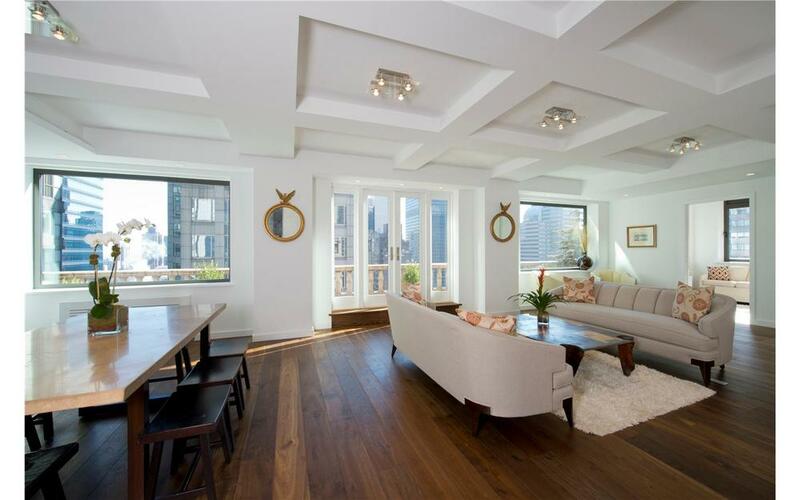 We are experienced in new construction in diversified contexts, from fringe areas to historic districts. 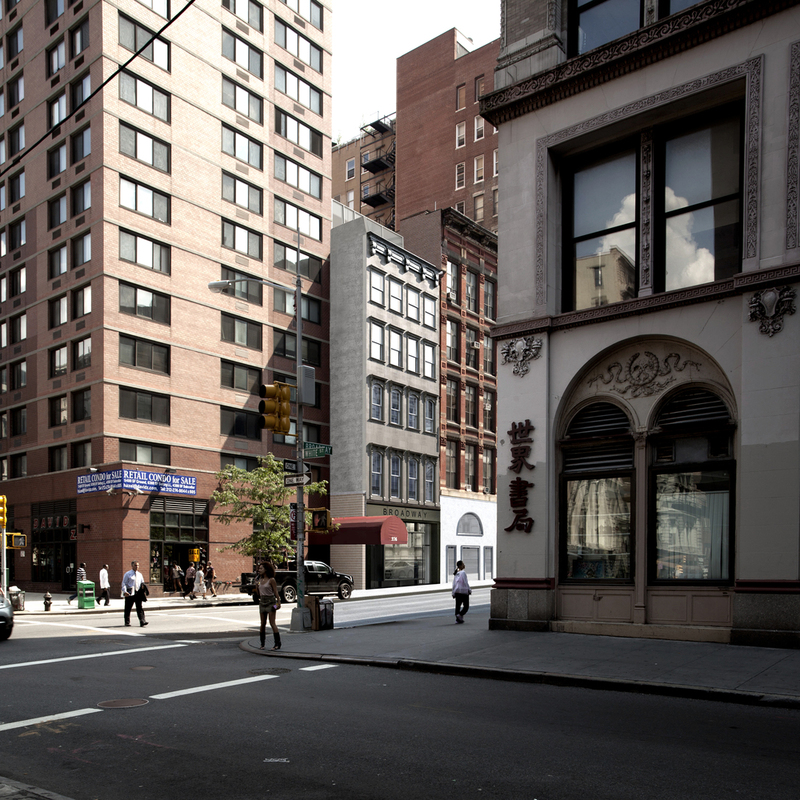 From Harlem to Soho, the Flatiron and Chelsea, our various mixed-use building projects demonstrate that we are committed to designing structures that are integral to the context and contribute to the public realm. A simple gesture provides the unifying element between the loft building and the new addition, providing also the branding for the project. This project shows TRA’a ability to find the best utilization of infill sites, the small but significant interventions strategically contributing to the revitalization of still emerging neighborhoods. 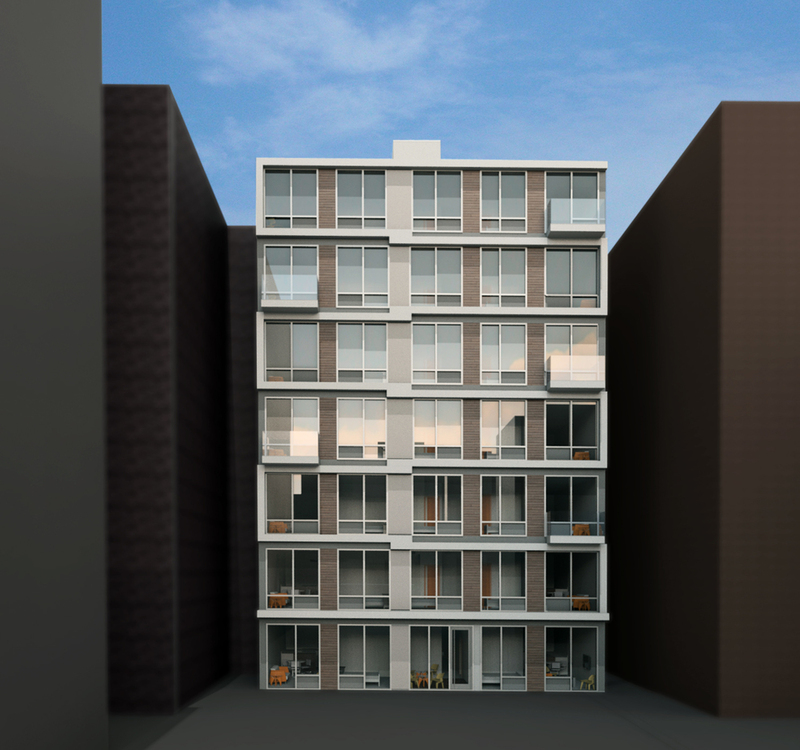 This new building in the historic district of NoHo was approved at Landmarks unanimously after one Public Hearing. 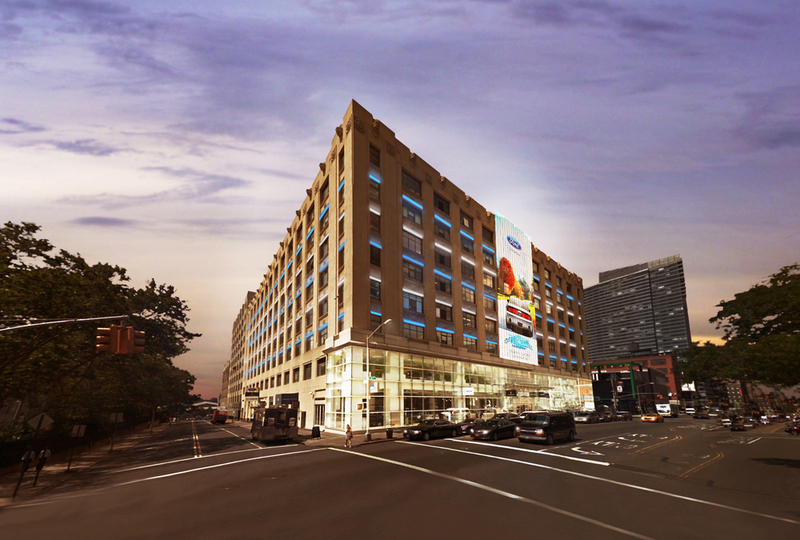 The proposed designed, with its slanted bay windows, would have created the only building on West Broadway, with a "view", ( Empire State building on the North and the Freedom Tower on the South). This is an example of how the right gesture can uncover unseen opportunities branding a development. We believe very strongly in the notion that buildings must adapt to meet the ever-changing needs of society. The success of our numerous renovation projects reflects our ability to obtain approval for difficult alterations and challenging, contemporary additions to historic structures. 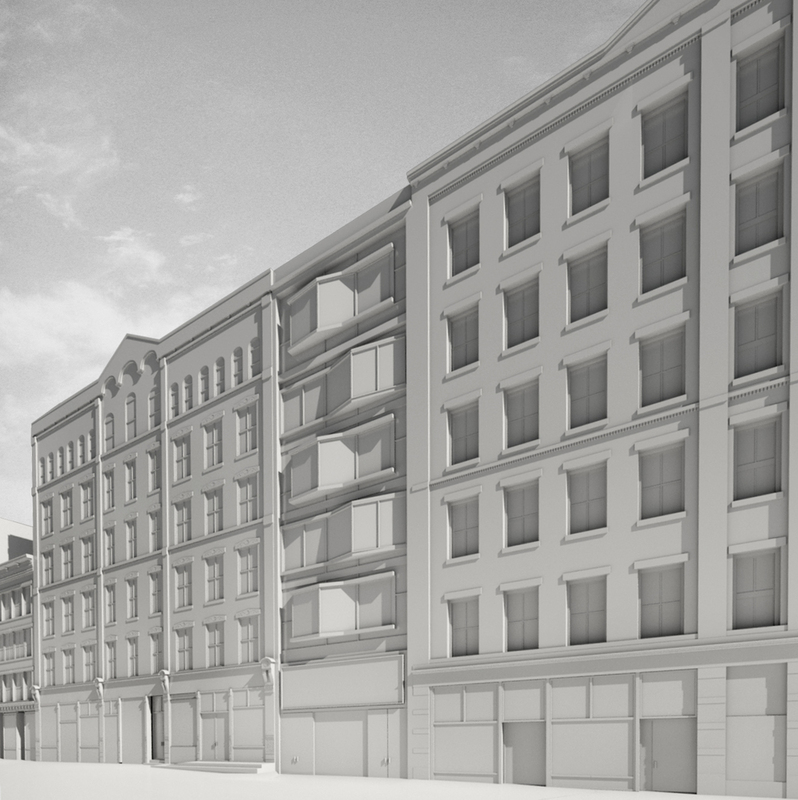 We partner with the New York City Landmarks Preservation Commission to negotiate solutions integral to the context. Completion of these projects often relies on public consensus and review, a process in which we have extensive experience. The project makes the most of the unique conditions, creating a private urban compound, townhouse living without the compromises often associated with this building type. The complete restoration is completed by the insertion of the corner oriel window, which expands the small floor plate, offering also the branding of the project. 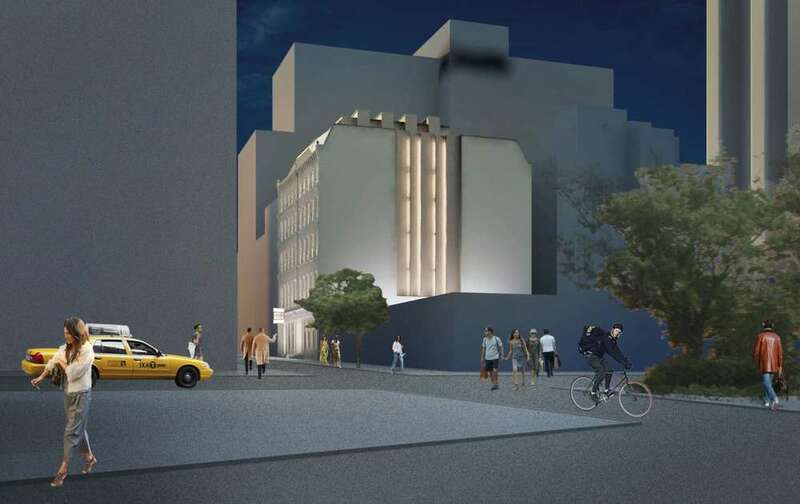 This is one of the several two stories visible additions that TRA got approved at Landmarks. 4 new atriums made the residential conversion possible and provided unexpected views for the interior, TRA obtained approval from LPC for the multi-storey visible penthouses. The form, rather than being arbitrary, makes the project possible,the elgant kinetic form that maximizes the floor plates for the premium upper units. The extensive restoration of both facades was part of the negotiation at Landmarks to allow for the vertical expansion of the building. reconstruction was part of the negotiations with LPC, to make the rest of the project possible. 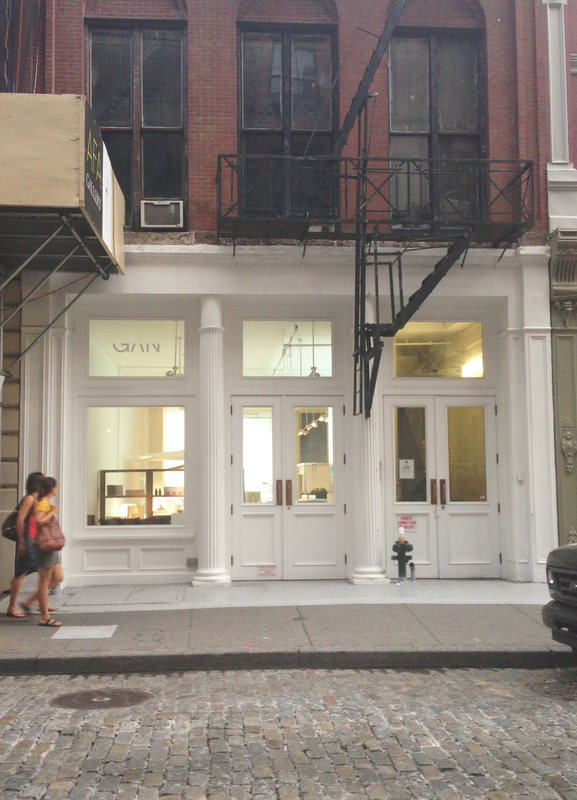 The minimally detailed storefront transform the once gritty back facade into the main entrance of the building. The careful restoration of both facades is complemented by the imaginative reconstruction of the Broadway storefront. "We find it especially gratifying to see creative conversions that satisfy both the building owner and the historic context of a neighborhood” GVSHP 2009 Awards. 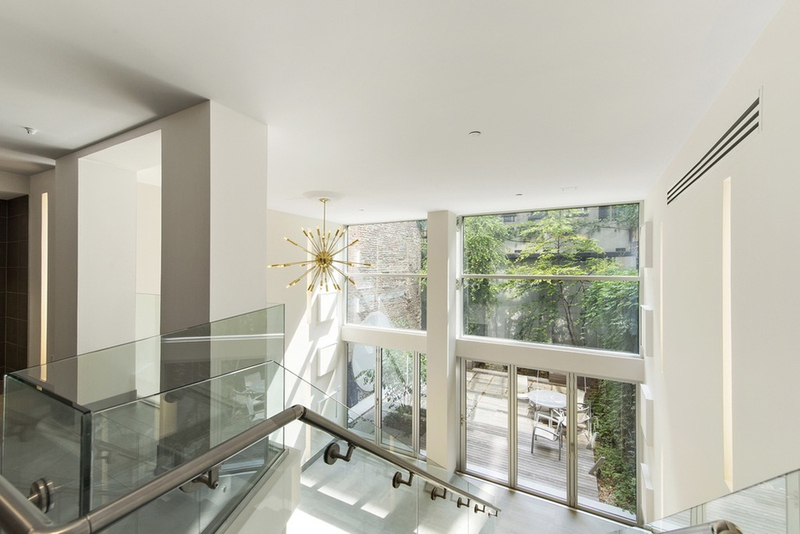 The restoration of the historic loft building is completed with a contemporary storefront whose transparency and display niches bridge between the insular art world and the community. TRA studio restored the terracotta facade as per the Local Law 10 and developed proposals for the re-positioning of the building. Fulfilling the modernist promise of integration between interior and exterior, we always design the space as a whole, from the window wall, to lighting and furniture, to the selection of art. 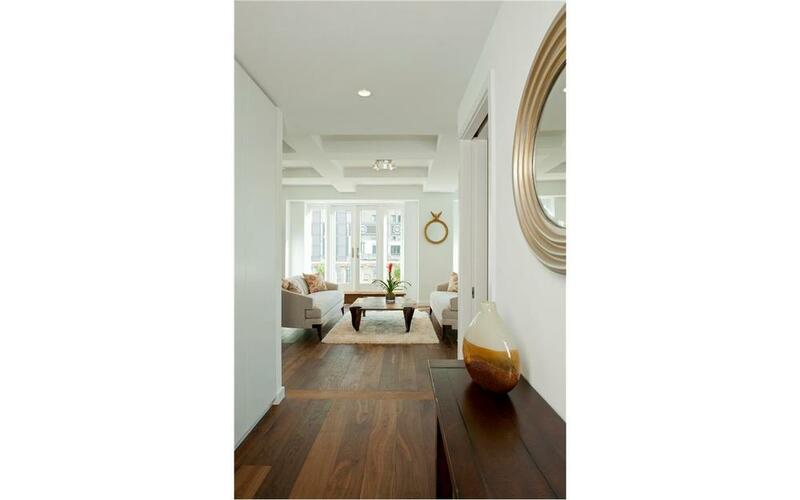 Our residential interiors span from townhouses to single residences and entire condominium projects. All of the interiors share the same philosophy: create spaces where the restrained sophistication and comfortable aura enhances the pleasures of living, spaces where people want to live in. The dark loft with limited windows has been transformed into a luminous three bedroom residence. Thefinal open configuration is the result of a careful demolition and reconstruction that completely transformed the three cramped dark apartments that had been combined over the years. TRA studio builds timeless spaces that last, both through design aesthetics and quality of execution. 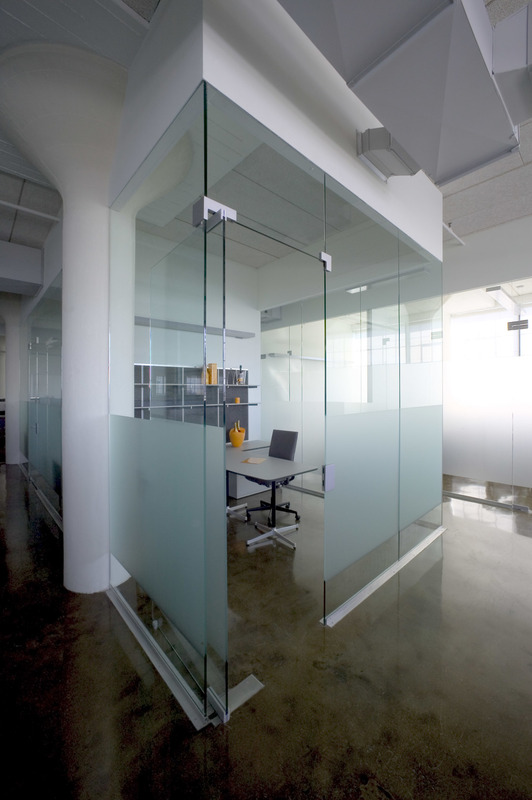 Our work includes corporate and educational interiors, high end residential and retail. The series of showrooms, department stores and boutiques we have delivered have created successful brands for our clients. In contrast, we have provided long-term service to historic NYC hotels, ranging in size, up to 150,000 SF. Besides the three level department sore TRA designed also the fixturing system and manual. 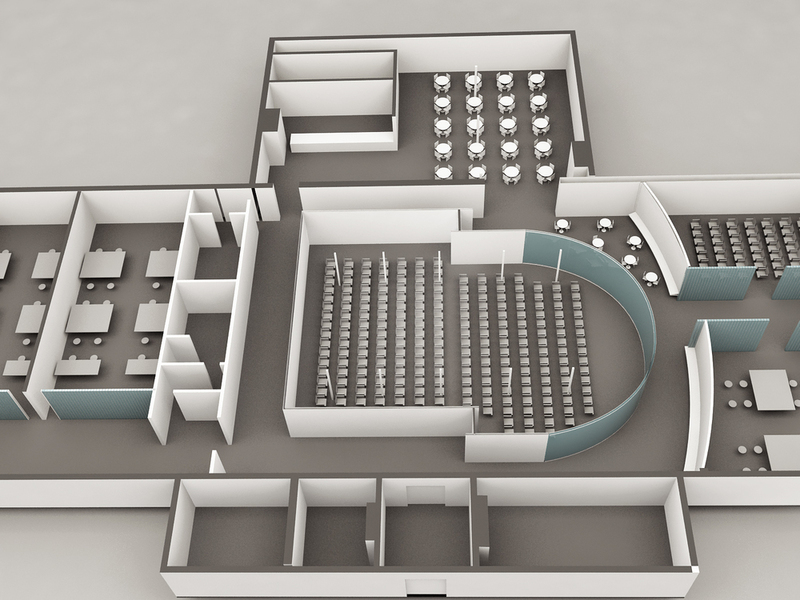 This is one of the several flexible spaces designed by TRA, which are alternatively used as an event space or showroom. 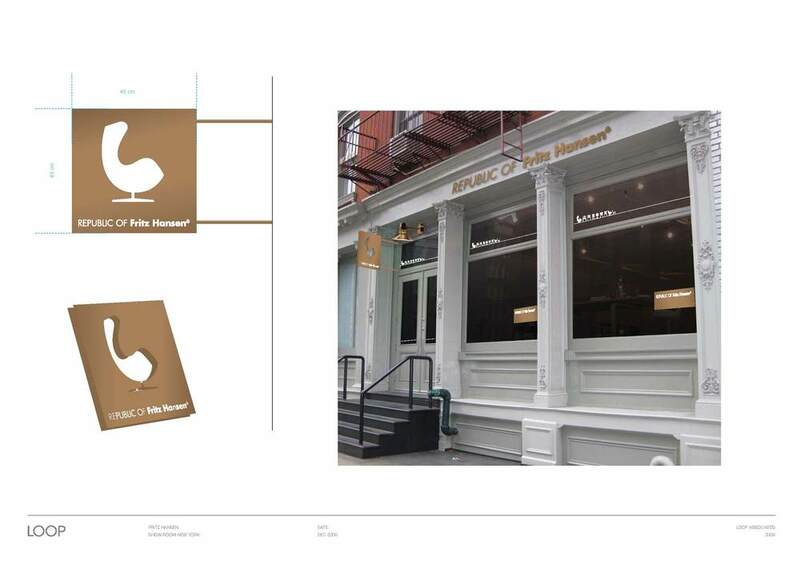 The design of the interiors for the 50 rooms Hotel with highlight the NoHo Lifestyle brand and a hospitality philosophy. TRA STUDIO has been the architect of record for the 350 rooms Nylo Hotel since 2005, through the different ownerships: PMG, Highgate and Lehman Brothers.TRA has completed the renovation of several areas of the 14 stories building, such as the second floor new rooms, gym and conference center. TRA STUDIO has been the architect of record, for PMG and Highgate, for the 250 rooms Hotel since 2005 and has completed the design of the corporate offices, support spaces and several rooms. Our workplace interiors and lobbies are as meticulously curated as our bespoke residential interiors, exceeding the expectations of our clients. 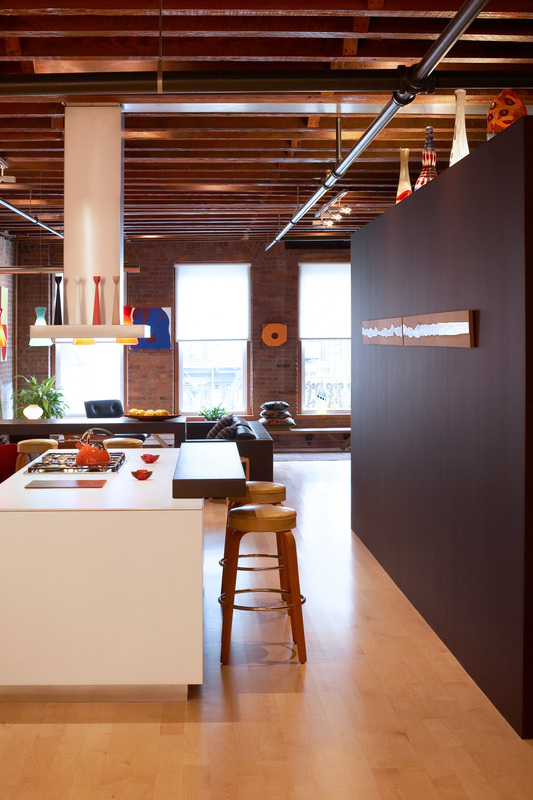 The luminous loft, which had to serve both as the Headquarters for the company as well as their entertainment space, is the third collaboration between TRA and Clicquot. As in most of our projects, TRA designed the space, the logo and the furniture system. 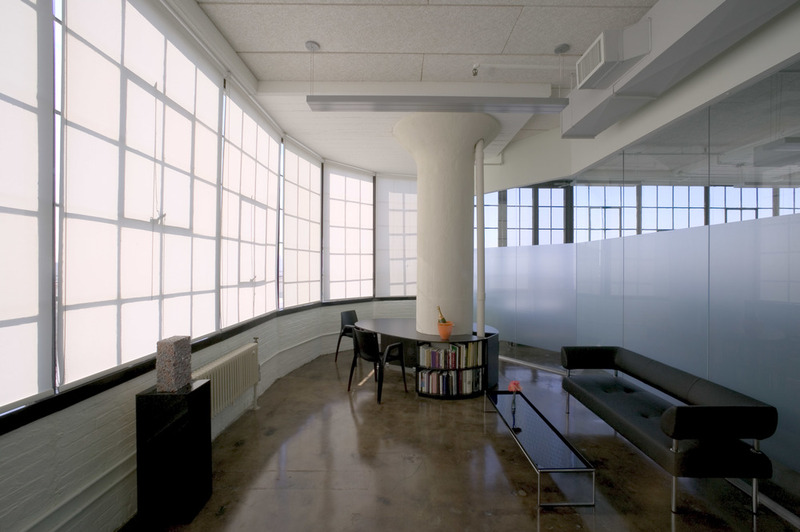 The office walls are made of a long spans of aluminum and a thick polycarbonate material, green for the executive, clear for the others; the walls are set along two very large arches, which in a sort of urban scale gesture, connect the landmark windows on 17th street to the single one on 18th street. 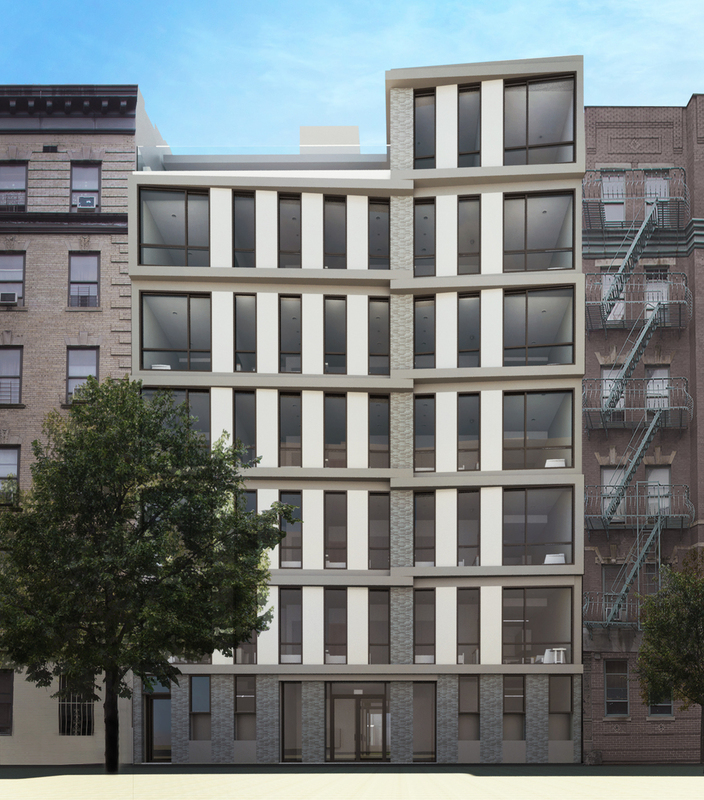 The program required to fit the headquarters of a busy development company, with 30 employees and many files, into a gritty second floor, almost windowless, loft space which spans the entire block from 17th to 18th street. 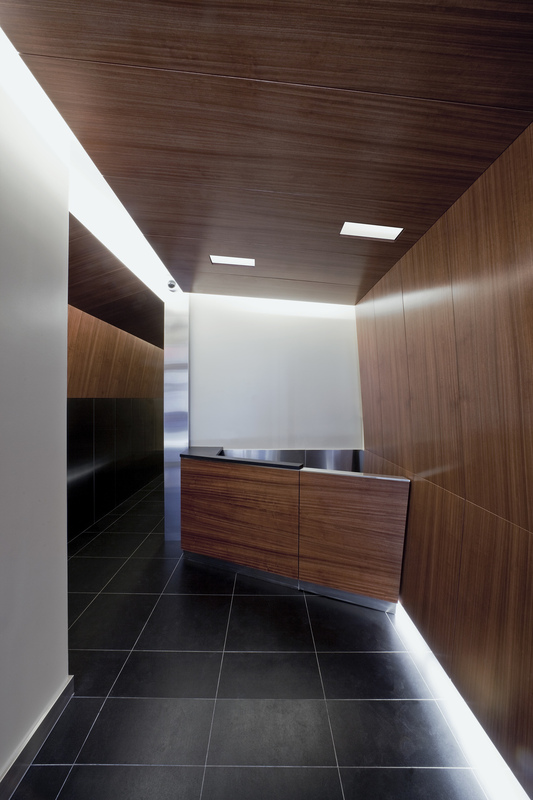 Since most people required privacy and since PMG also manages several hotels, the metaphor for the office space became the hotel corridor; the design strategy celebrates, rather than conceal, the length of the public corridor. The industrial, yet refined, finishes well-describe the TRA’s aesthetic to perspective clients. The comfortable aura, the luminous, enthusiastic, layered space, thedynamic power of color and the “lightness oforder” of their studio istypical of both of TRA’s interiors and of Robert Traboscia’s paintings, which are routinely exhibited as in a true artist’s loft. The slanted wood paneling recalls the angled planes of the new window wall infill. We work closely with our Institutional clients, dedicated helping to foster their growth. We have prepared Master Plans for several institutions, always integrating the built and natural environment. Helping to tactfully phase the work we look to address the vision of our clients for the immediate as well as future needs. The Master Plan, initiated in 2010, devises a phased construction schedule that allows for the work to be done during the summer vacation. The new organization offers long term growth strategies within the existing footprint. 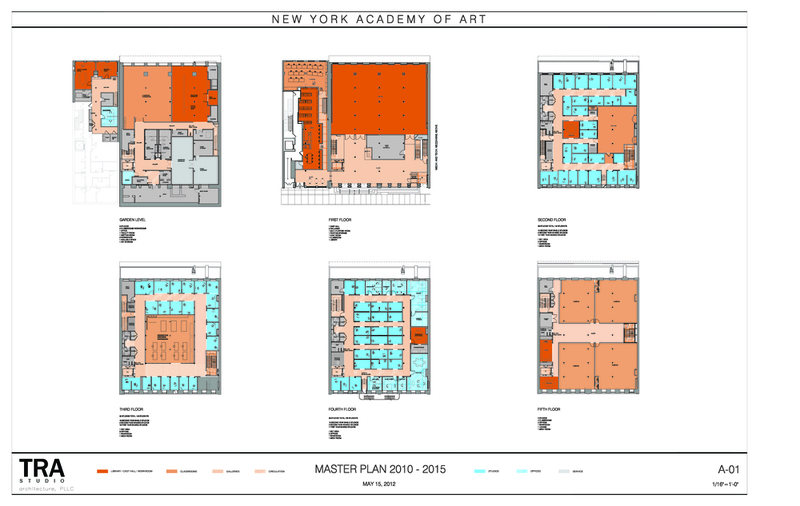 The Master Plan for the School of Architecture , which is located in a two stories historical stable building reorganizes all the similar spaces around dedicated stairs, using the color coded stairwell towers as the access to the regrouped departments. The renovation of this Individual Landmark will create a new multi-functional anchor building for the College and the Park grounds. TRA has extensive experience in designing signage in historic districts. 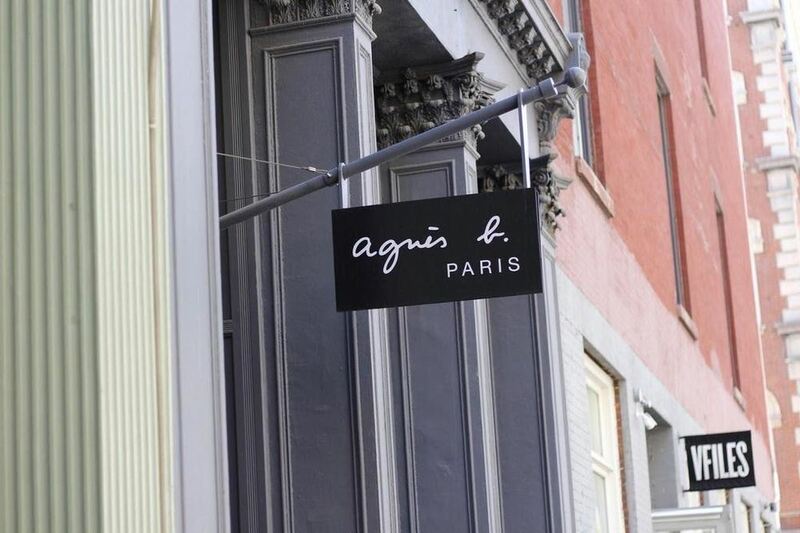 The elegant logo was designed with Massimo Vignelli. On Mercer, the bracket is detailed similarly to the main flagpole. The iconic graphic is complemented by the elegant flagpole. The entrance signage is one of the many elements that comprise the NYAA signage program. GEI's corporate identity, including the logo, signage and stationary, was also designed by TRA. The studio benefits from Robert Traboscia’s extensive experience in construction and our successful completed work, on time and within budget, demonstrates our specialized project management skills. Early in the design process, we take the role of orchestrator, ":between", (as in the root of our name TRA), the owner, consultants, contractors and sub-contractors, and often prepare shop-drawings in a shared collaborative process. We continuously evaluate alternative cost-effective solutions, shifting in and out from design to construction. We believe that design never ends through construction administration and post construction. TRA identified the derelict loft building seeing its potentiality, designed the complete renovation and provided CM assistance. TRA was instrumental in the system and design detailing, project scheduling, project management and delivery. TRA also was also instrumental in the system and design detailing, project scheduling project management and delivery. We have been assisting the Institution with the building maintenance and challenging phasing of the building upgrade since 2001. TRA studio has been instrumental in negotiating between stakeholders, often making the project possible. The zoning experience and in-house coordination with the agencies allows us to promptly investigate feasibility opportunities. 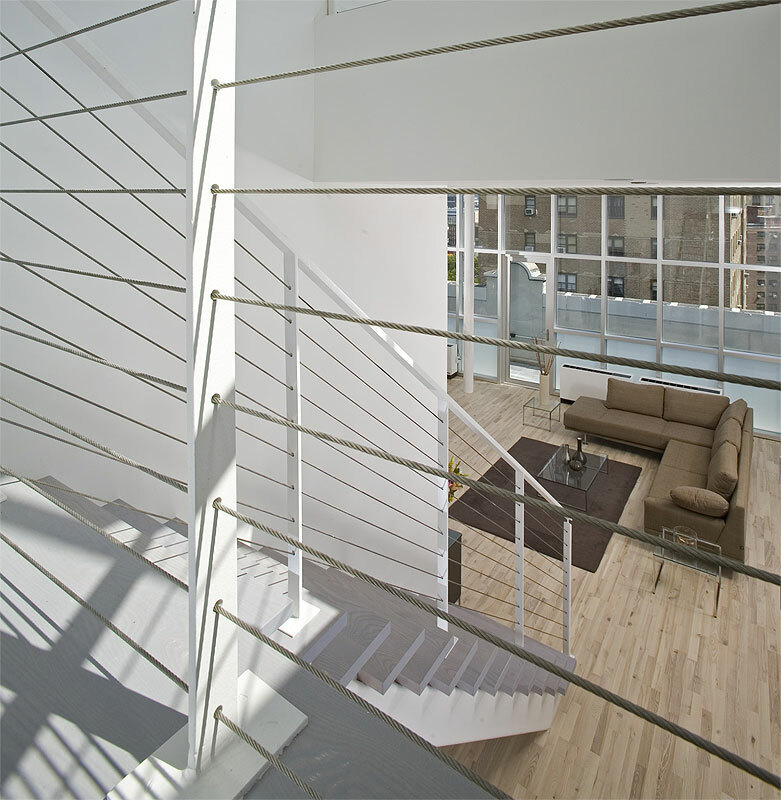 The studio's work is seamlessly integrated by the support of TRA's zoning and expediting group during construction, offering results in accelerated construction schedules.TRA studio Inc, is also an accredited Special Inspection Agency and accredited with the NYC Fire Department. The variances and reconsiderations we obtained made the project possible. he solution consists of a single tower in the middle of the lot. The form, makes the project possible. The shape responds to the code requirement to minimize the impact on the existing light and air courts and by the desire to build the minimum amount of square feet at the lower levels.